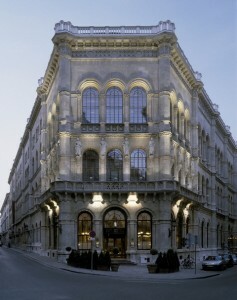 The exclusive EWEA members' reception will be held in the luxurious Palais Ferstel. This Palais was built by the Viennese architect Heinrich von Ferstel, with the intention of being used as a bank and stock exchange. EWEA members will get the chance to visit one of the most interesting buildings of the Wilhelminian period and also meet and network with over 300 top industry representatives. Entrance is limited to two persons per member organisation. All EWEA members will receive an invitation by email closer to the event.